Whether you are a pipe major, a leading drummer, a corps member or an adjudicator I think you should take two minutes to check this out. I recently caught up with Andrew Womersley from Melbourne, Australia who shared an incredible document that he helped to create. This document is a blueprint for Grade 4 pipe bands (and arguably a lot of it is applicable to ALL grades) on how to present ensemble – the do’s and the don’t so to speak. I hope this is the start of a new trend – a trend where the adjudicators and the associations share with the members what they are looking for when judging a band. It can only lead to greater understanding among bands and judges and open up new possibilities for the development of playing standards worldwide. A massive thanks to Andrew Womersley, Scott Nicholson and the BC Pipers Association for making this happen. Hats off to you all. A little advice for parents of musicians. Instructor’s often go through the horrible experience of teaching a student the basics, months if not years of effort, only to find that the student quits over the summer. I imagine this is not just limited to piping and drumming, it could be applicable to any instrument. It might be just a case of out of sight, out of mind. However, I think there are things that can be done in the background to try and minimise this happening. It involves setting up some support structures in the background that can be utilised when the student is going through some moments of doubt. I would estimate that my “drop out” rates when I first started teaching pipe band drumming were around the 40% mark – pretty high you would think. However, over the past three years I have managed to maintain a “drop out” rate of less than 5%. For this example, let’s take a look at younger students. I see a few key factors contributing to some of them opting not to lift up the sticks all of a sudden. The student has been off on school holiday and has been focusing on summer sports and vacations. This is probably the area where most students drop off the radar – they don’t have the instructor there to motivate them regularly and have no events or performances to re-ignite the old fire. The student has too many activities that they are committed to and they quit their instrument because they aren’t seeing as much progress as they would like. This is where the parent comes in … we’ll chat about that after. The student gets a hard time or is hassled by his/her peers in their year group about playing a traditional instrument and feels like it is uncool. This applies to clarinet every bit as much as bagpipes or drums. The student doesn’t enjoy the teaching style of the tutor. There are, of course, many other factors that contribute to students quitting however the above points are ones that I hear time and time again from fellow music tutors. So what can be done to help combat this issue? Well, some support systems being put in place will go along way in helping to solve the issue. Let’s take a look at the student who comes back after their summer holidays and says he/she is quitting. Instead of trying to rally around and change their mind, how about you think about what actions could have been taken to prevent this in the first place. Taking seven or eight weeks away from routine is not good for anyone. So what could we do as tutors to help keep our students on track? Firstly, a conversation with the parents is a good start. Outline to the parent the importance of continuing personal practice (after a short break of course!) throughout the holiday period. Perhaps go as far to write out specific rudiments/tunes to practice, how often to practice them and get them to make a note of their practices. This will motivate the student (and parent for that matter) to feel that they need to make an effort, so when they return to lessons they will be able to show their tutor that they have made an effort. Another option might be to look up a summer school option for them, I personally host a drumming workshop for students two or three weeks before the year begins – it’s a great way to get them enthused and to brush off the summer cobwebs.Playing an instrument can be a a very solitary activity – so encouraging some of your pupils to get together during the summer to jam could be a good idea. This gives them the opportunity to have fun with their instrument without any “disciplinarian” around. Also, it is important to take the student through a structured form of learning. As with any other subject at school, the student works from a book. I personally use the Guide to Pipe Band Drumming Books, and also have my student’s sit the Scottish Drumming Certificate. I think it’s important for the student to have structure, but also have the opportunity to get examined and rewarded for their achievements. Not all students like solo competition, so sitting examinations can be a great way for them to see their development tracking along. If the student is working from a book, you could let the parents know what their child should be looking at through the summer break. This then involves and engages the parent with the development of their child. I think that not enough focus is placed on getting the parent involved in the student’s musical development. I find that the students who progress the quickest are the ones whose parents take an active role in overseeing their progress. Obviously there are exceptions – those students who have a crazy passion for their instrument and practice hours each day! Ok, let’s chat about a modern-day pandemic. I see so many students who are personally involved in cricket, rugby, swimming, chess, dancing, tennis, golf, cross country, skiing, cycling, polo, soccer and they play an instrument. I am not over-exaggerating when I say that this is becoming the “norm”. When I chat to a parent about the progress of their child and why they aren’t achieving as much as they could, the number one answer is that they have so many other commitments. In my opinion, this is something that the parent and child need to discuss. It’s a managed process, and it’s an ongoing one. I think we all have to make choices at some point. It’s a cross-roads if you like. There are only a finite amount of hours in the day. So, often we need to make decisions about which activities will have to go if we want to dedicate more time to another activity. The old saying “Jack of all trades, master of none” springs to mind. Don’t get me wrong, I think experiencing new things and learning from a varied palate is a positive thing, but committing to something and sticking with it (through thick and thin) until you master it is a hugely important and valuable life lesson. If all parents knew how learning an instrument might impact their child’s life I think each and every one of them would be signing them up for an instrument in primary school. And when the child gets bored (because they can’t download a “make me a master musician app” overnight) the parent needs to explain why they need to stick at it. It’s difficult to encourage your child to stick at it when they want to quit. But in the long run they will realise that in life, you will go through tough times and there is often no option to quit or walk away. Instilling this mindset from a young age through committed musicianship could pay dividends. I’d go as far to say that a student learns as much about life in a music lesson (or perhaps more!) as they do in Maths, English or Science. But then again, Im biased. To learn the skills of an instrument to a level where you can perform proficiently in public and create a positive emotion in your listener is a long and arduous journey. It’s also a very rewarding and enjoyable one. Focusing on processes, not outcomes. Looking at the list above, as a parent, do you think any of these things will help your child to live a full and happy life? I would absolutely think so. I have many students who stand out in my mind as perfect examples of carrying the positive traits of a musician over to their academic life. In fact, one in particular placed at the World Championships and was crowned Dux (equivalent to Valedictorian) of his school in the same year. He was not the most naturally talented drummer, but he set major goals and worked extremely hard over a long period of time to reach his ultimate pinnacle of playing at the World Championships. To receive the Dux award is seriously amazing and comes with many scholarships for top Universities. When I hear parents/students saying that they can’t excel in their instrument field because of academic commitments I think of that one student. He’s an example to us all. When you want something bad, and you are willing to sacrifice time plus make a commitment over a long period … then anything is achievable. I know he will continue his life with some amazing guiding principles and will go on to do great things. Now we all remember that moment at school when the bully spots you with your instrument walking across the playground and he heckles and laughs at you because you are doing something that’s “not cool for school”. I recall a guy at my school who used to goad me and prance around singing “Little Drummer Boy”. It was a bit embarrassing at times but to be honest I loved to drum and couldn’t care less what he said or did. I think it would be fair to say that he may have continued his life carrying his own set of “guiding principles”. So, if you are the student being teased, please don’t give up the instrument – stick with it and give the muppet who’s picking on you, a wide berth. Entertaining other humans is one of life’s amazing gifts – don’t forget it, and don’t throw in the towel. Another huge factor affecting any musician is their rapport with their tutor. If you don’t gel with your teacher, then find another one. Keep going until you find the one that works for you. And if you go through 20 tutors and still don’t find the right one, maybe the tutor isn’t the issue?! But that is pretty rare I’d imagine. Our fraternity (as musicians) is pretty special and is something we should try to preserve for future generations. It provides us with a strong sense of community and gives us a reason to collaborate and share great music, laughter and friendship. I hope that some parents might get a chance to read the blog, and that it might just highlight to them the major life-long benefits for their child being involved in playing an instrument. The benefits will no doubt have a positive impact on the musicians academic life, career success and relationship happiness. Many students often ask me what new tunes they will be learning for solo competitions each year. They are generally quite keen to learn a new set each year, to keep it interesting. To be honest, I often try to discourage them from changing solos sets too much. What is the point in changing for changing’s sake? If the tunes are working well then I would be asking the student to hold onto them as a set and develop them. 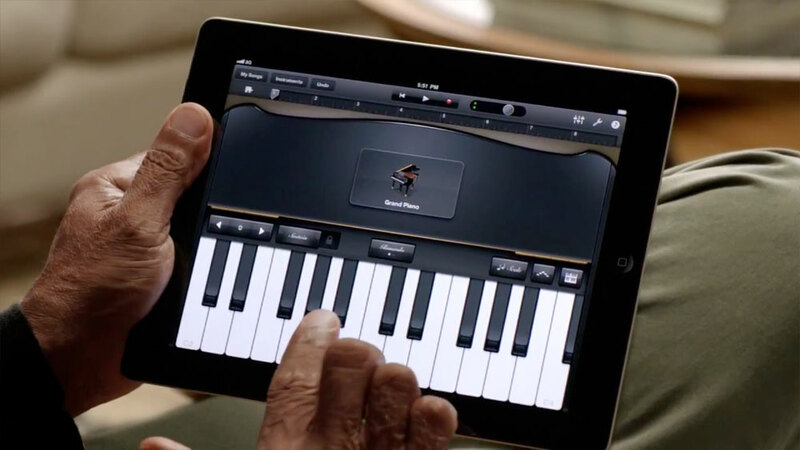 After all, it does take months, often years, to fully develop the musical style of a tune. If you listen to some of the all-time greats like Andrew Scullion and Jim Kilpatrick you will hear Donald Cameron and Highland Wedding being played for years and decades at a time. The tunes are fantastic, so there is no need to keep changing them up. I do believe in keeping it interesting though, but that’s where concerts and performances come in handy. You can develop sets to play at other events, outside of your solo competition sets. Learning lots of tunes can be a great way to expose yourself to lots of different pipe band drumming styles. I recall as a young drummer listening to (on repeat!) – Victoria Police Pipe Band, 78TH Fraser Highlanders Pipe Band, the RUC Pipe Band, SFU Pipe Band, FMM Pipe Band, Shotts, Jim Kilpatrick, Andrew Scullion and so many more. I would try mimic or copy what I heard (not very accurately of course!) and it has really influenced my style of music today. Honing in on one style as a learner has its pros, but it also has its cons. The more varied styles you can listen to, and appreciate, the more rounded your ear will be and it will give you a broader platform to start from. Obviously you will work out what your own unique style is in the end, but always keep an open ear. I still listen to bands now to see what I can learn from them. Every band always has some quality that is appealing, no matter what the grade. Back to getting tunes prepared for solo performance. I dislike when a student picks a new tune 4 weeks before a contest and is adamant that they will learn it “in time”. In recent years I have been a lot firmer with my students and will not encourage them to play a tune in solos that they haven’t had prepared for six months or more. By “prepared” I mean – memorized, polished and up on the instrument. Getting a tune ready for competition is a process – a long one at that. When the pressure of competing goes on, you need to know you can fall back on thorough preparation. Last minute attempts simply will not work on a consistent basis. If you have a solo set, try keeping it for two full seasons. During that time ensure you record practice sessions, and actual solo events. Spend the time after each recording to write a few notes on your performance. A few simple headings could be : Accuracy, Flow, Dynamic Range, Musicality, Expression and Phrasing (there are lots of others but these are a good starting point). Give the tunes a chance to develop and mature. If you aren’t getting the results you want, or a judge suggests you change tunes, take a breath and give it some time. If every judge suggests you change the tune then listen up and act quickly! Another option would be to send some of those recordings to someone and ask them for a professional opinion. It is St Patricks Day and so a little Irish Quote is appropriate and applicable to your drumming. “ Like a pint of Guinness … Good things take time”. You can now gain qualifications in Scottish drumming through the official Pipe Band Drumming Certificate course. Starting from the very beginning, you will be guided through the online course with comprehensive work books – including practical and theory. Once you are ready, you will then sit your examination in person or via Skpe. You can go through each level as quickly or as leisurely as you choose, there are no time restraints whatsoever. If you would like more help then one-on-one Skype tuition is available – please just let us know. If you want to ensure that you are learning correctly and to measure your progress then achieving a graded certificate will give you the depth of knowledge you require. Examiners will award a fail, pass, merit or excellence for each level based on your performance. Simply purchase the level of certificate you would like to attain. You can purchase Levels 1 -5 individually, or as a package. Once you purchase the Scottish Drumming Certificate you will receive an email with your download link providing you with instant access to the program. Have an amazing Christmas and here’s to a great year in 2016. My large compilation of drum scores has just gotten a little larger. I have added another 20 compositions to my www.come2drum.com library and will continue to add further scores in the New Year. Come on over and check out the scores. I hope you enjoy the scores. What can pipers and drummers learn from an Astronaut? NASA and the RSPBA may not have the same goals , but their members both have a lot in common. 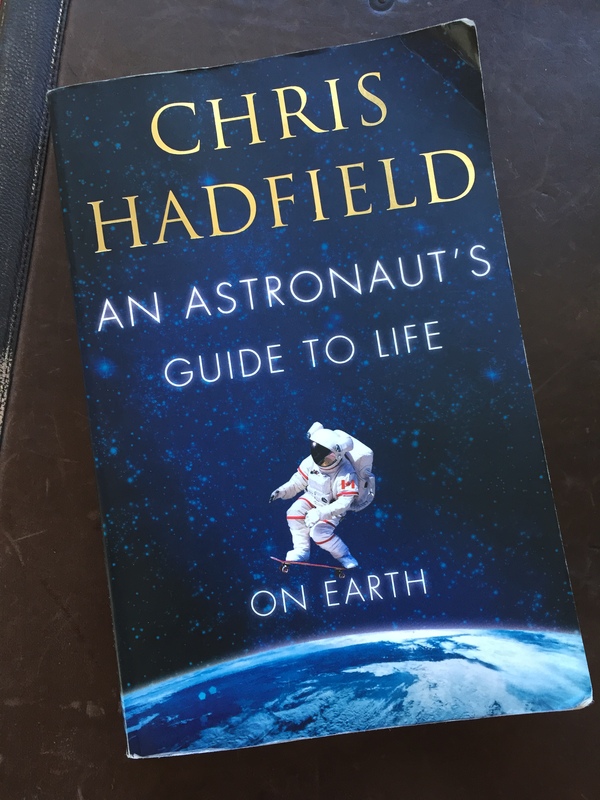 I recently read An Astronaut’s Guide to Life on Earth, by Chris Hadfield – the famous Canadian astronaut who sang Bowie’s Space Oddity that went viral on youtube. The book was enlightening and inspiring – I really love this type of book – I’ve never been a major sci-fi fan. His story was one of sheer determination and passion, with long-term gain as his major short-term focus. As a musician I was able to relate a lot of his thoughts and philosophies to the struggles that we face throughout our music career’s. It’s not as simple as, I’m going to learn to drum and then in one year I will reach my peak and perform on a stage in front of 10,000 people. Picking up an instrument is a life changing decision, that can shape your thinking, your lifestyle and your direction. Once you pick it up, you are making a commitment to dedicate your life to discovering the instrument’s possibilities and constantly challenging your personal ability. There is a never a final destination for a musician, it’s an ongoing journey of learning and developing. Who doesn’t enjoy rudiment practice? One hour each day, for a year, on drags. 500 tachums each day for six months. 1 hour of GDE’s for two years. That should be music to our ears (pardon the pun) as musicians – the practice of simple tasks over and over again, so that we develop strong form and correct technique. But most of us would cringe at the thought of practicing menial tasks over and over – particularly those who are new to learning an instrument. When we need it most (performing or competing under pressure) we will be thankful we have performed these mundane tasks over and over again. During these tasks, day-in day-out, it is so important that our mind is focused on the reason that we are practicing these simple and repetitive patterns. If we don’t have a long-term tangible goal – then why would we be motivated to actually perform these rudiments repetitively? The journey to becoming an astronaut (particularly for a Canadian as they don’t have their own launch pad) is one which is very difficult and next to impossible. The selection process is incredibly difficult, the intelligence requirements are extremely high, the physical demand is huge and the emotional drain is never-ending. From a very young age Chris talks of wanting to become an Astronaut. Everything, from the age of 10, was working towards his final goal. Every sport he took, every book he read, every question he asked his elders – every single moment was dedicated to his goal of one day, becoming an Astronaut. He was not going to get an instant gratification – this goal wouldn’t come to fruition for many years – and he was perfectly comfortable knowing that it may never come true. It was the pursuit of an overriding goal that drove him. That overriding goal shaped his decisions and his life, all for the better. Had he not become an astronaut, he still would have achieved many great feats in his career. When Chris finally became an Astronaut and flew in space – he realised that the journey was not over. He realised that the journey had just started! He felt that being in space was an ongoing journey of discovery. For us pipers, drummers and other musicians – we need to be comfortable and happy knowing that we will never truly reach our end goal. We may have lots of personal victories along the way, but once we have achieved those goals, we then need to re-focus and re-calibrate. If every person quit performing once they had won their national or world title – it would be a sad world for musicians. Set yourself a long-term goal, get down to some tedious rudiment development and enjoy the small successes along the way. Get out there and perform for the public. That’s what music is all about. Performing. “We can’t always control what happens to us in life when big moments come around. But we can control how prepared we are. It might seem obvious to prepare if you’re planning to pilot a Soyuz rocket to the International Space Station, but many of us fail to prepare for normal stuff in life – even if we know there are big moments are coming up. Chris Hadfield’s book is a must-read for sports-people, musicians, leaders, business-people and humans who want to lead a greater life. You can get it at most major book stores worldwide – or head to Amazon. It would be fair to say that most people pick up some form of musical instrument during their time at school. But most end up quitting a few months or years down the line. In the piping and drumming world, we have a slightly smaller catchment so it’s even more vital that we retain as many as possible. A good friend of mine passed me a great article about how to prevent students from quitting – it’s absolutely well worth a read. Parents don’t treat music as important as other subjects. The sad truth is that many non-music teachers and administrators do not find music equally as important as math or English language-arts — but parents must. Besides, you wouldn’t let your child quit math, would you? Many kids would jump at that opportunity! Music is a core subject…period. The more parents treat it as such, the less students will quit. Students don’t know how to get better. Without the proper tools and practice habits to get better at anything, students will become frustrated and want to quit. It is the role of music educators and parents to give students ownership over their learning. Teachers must teach students why, how, where, and when to practice, and parents must obtain minimal knowledge about how students learn music in order to properly support them at home. Parents and students think they aren’t musically talented. Sure, there are some kids who pick up an instrument and sound decent immediately, but they will hit a wall later and have to work hard to overcome it. Most everyone else won’t sound that great at first. Playing a musical instrument is a craft that, if practiced correctly, is something that all children can find success in. As long as students know how to practice and that it needs to be done regularly, they will get better. Many parents who speak to me and claim that they aren’t “musically talented” simply had bad teachers and little home support with music practice.